He just seems at home here, maybe because it is practically his backyard. Jack is a golfer first, but also loves soccer and ski racing in his spare time. 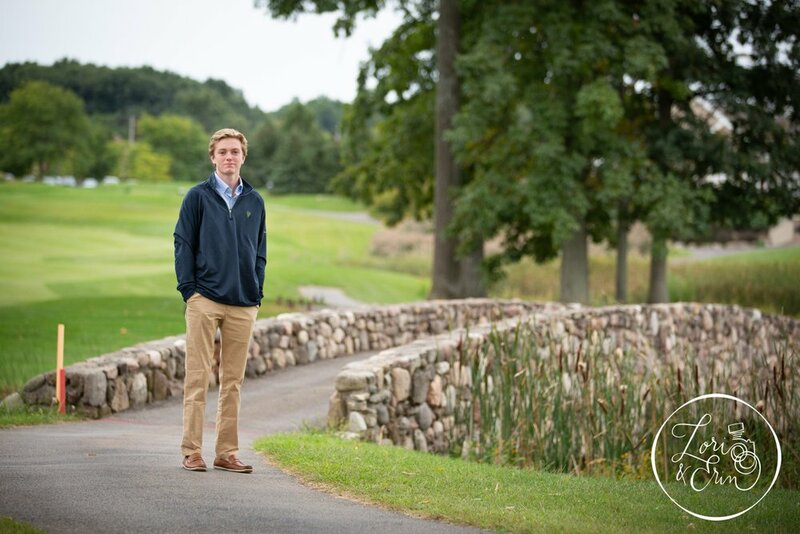 He opted for a simple senior portrait session, with his favorite background, the golf course. So, we took the carts out on the course and found some great views for him! It was one of those perfectly cool summer nights, so it made for amazing sweater weather. 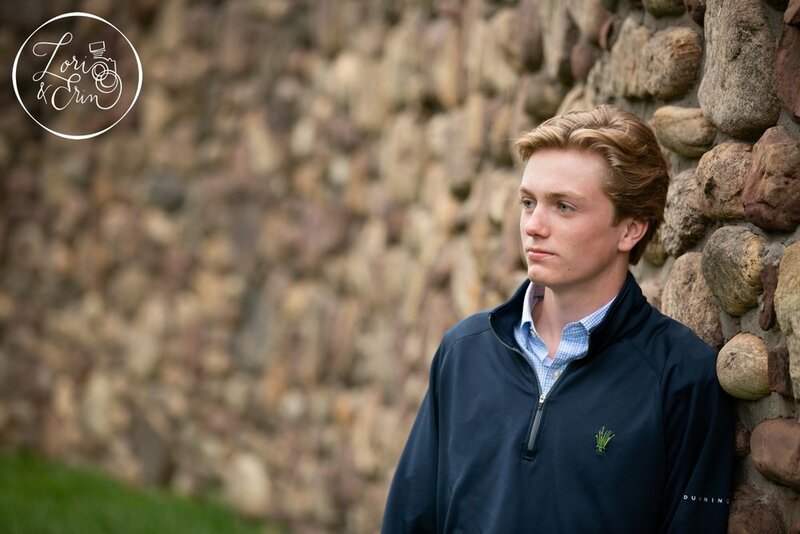 Thanks for choosing Lori and Erin Photography Jack, we wish you an amazing senior year and beyond!